We transport thousands of cars per year, and the vast majority of the automobiles are shipped via open transport. Open transport is by far the most common method to move cars across the state or county, and has many benefits and disadvantages to shipping your car with an enclosed carrier. Trust is crucial to auto transport, and we ensure you that we have all the experience and knowledge necessary to gain your trust and ensure that your vehicle is transported to the desired destination securely, reliably, and on time. If you are shipping a standard vehicle (not luxury, vintage, or exotic), we highly recommend transporting your automobile via an open carrier. This will save you copious amounts of money as opposed to shipping with an enclosed trailer. 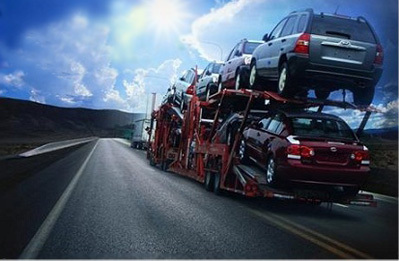 Enclosed transport can cost upwards of double the price to ship your car on an open carrier. Many auto auctioning, dealerships, and manufacturers use our open auto transport services to move their vehicles across the country. If you decide to ship your vehicle with an open auto carrier, please note a few important things. First off, your car will be transported in an open environment, meaning it will be exposed to the elements, which could be rough on paint, windows, the body, and even the engine. Also, because there is no cover, automobiles being shipped on an open carrier are exposed to external materials such as rocks, sand, salt, and tires – all which could cause possible damage to vehicles. Although there is the possibility of your car being damaged, the odds of this actually happening are extremely rare. Almost every single car shipped is delivered in the same condition that it was picked up in, and customers are extremely satisfied. To get a quote on open auto transport, please give us a call or fill out or quote form today!